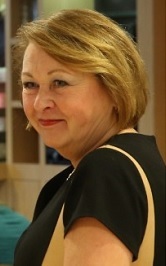 Magda Rooze, MA in Psychology and MBA in Business Administration is senior advisor of Arq Psychotrauma Expert Group in The Netherlands and she was the director/corporate executive of the Impact Foundation, Dutch Knowledge & Advice Centre for Post-Disaster Psychosocial Care, which she founded in 2002. Under her management, the organisation developed a strong vision of post-disaster psychosocial care, a professional online database with relevant scientific publications, public information and experts in the field of psychosocial care. She opened up the network at the local, European and international levels. Magda was responsible for achieving several important guidelines for the field that are now used as standard practice. Many practical products were also developed under her management. Magda was able to acquire a large number of national and European projects for the knowledge centre. She strongly promotes international cooperation. She is the convenor of the Standing Committee on Crisis and Disaster Psychology of the European Federation of Psychologists Associations. Since 2012 she is the projectleader of the European project TERRA Terrorism and Radicalisation Prevention, De-Radicalisation and Citizenship. A practical instrument has been developed to support those who professionally come into contact with young people at risk of radicalising, the TERRA Toolkit, a Train-the-trainers program is available on the basis of the TERRA Toolkit, lesson material for high schools and evidence based policy advice. see www.terratoolkit.eu.